TajMahal, a previously unknown cyberespionage platform featuring roughly 80 different malicious modules and active since at least 2013, was discovered by Kaspersky Lab’s research team during late 2018. Even though it was active for the past six years, “with the earliest sample dated April 2013, and the most recent August 2018,” the advanced persistent threat (APT) framework is not yet connected to any hacking groups. As further found by Kaspersky Lab, TajMahal is a multi-stage attack framework which comes with two malicious packages, self-named as Tokyo and Yokohama, dropped one after the other on the target’s computer. Once Yokohama gets dropped on a victim’s computer, it is used to hunt down interesting documents and media files, steal cookies and backups, swipe files from the printer queue, burned CDs, and from USB storage devices. All this collected data is subsequently sent to a command-and-control server controlled by the hacking group behind the APT framework in the form of an XML file named TajMahal. Because a central Asian diplomatic entity is the only confirmed TajMahal victim by the researchers, with the attack taking place back in 2014, despite the framework being used for at least five years, Kaspersky Lab’ theorized that there are other targets which had their computing systems compromised using this cyberespionage platform. 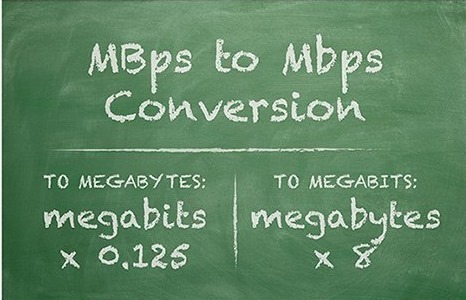 MBps is an abbreviation for Megabytes per second, whereas Mbps is an abbreviation for megabits per second. Eight megabits equal one Megabyte. These abbreviations are commonly used to specify how much data can be transferred per second between two points. In some cases, mbps is used as an abbreviation for megabits per second; however, the lowercase m technically means “milli” not “mega,” so it doesn’t really mean the same thing. To put megabits and Megabytes in perspective, let’s back up for just a moment. One bit of data is a single “on” or “off” digit, a one or zero. It takes eight bits to represent a single character, or one byte of data. As a point of possible confusion it should be mentioned that there are two different systems for calculating multiples of data: the decimal system as noted above, and the binary system. According to the binary system, used in relation to computer storage and memory, it takes not 1000 bytes to equal a KB, but 1024 bytes. This is because the binary system is base 2, and 210 = 1024. Technically, the designations in this case are Kibibyte (KiB) and Mebibyte (MiB), but these haven’t caught on in the public sector, leading many uses of “MB” to mean 1024 kilobytes, and others to mean 1000 kilobytes. When considering MBps, however, the decimal system applies, as the reference is to data transfer rates and not data storage. Data transfer rates are quite handy for gauging performance levels of various hardware devices. Everything from USB and Firewire® ports to memory card readers and mobile devices are associated with corresponding transfer rates, often measured in megabits or Megabytes per second. We must also translate speed to value when considering Internet service plans, advertised by download and upload speeds expressed in kilobits per second (kbps) or megabits per second. For example, a typical Digital Subscriber Line (DSL) plan might have an upper transfer limit of 1,500 kbps, which can also be expressed as 1.5 Mbps. A cable plan might be advertised with speeds up to 5,000 kbps or 5 Mbps; and fiber optic Internet can reach speeds of 50 Mbps or more. The wireless G network (802.11g) has a maximum transfer rate of 54 Mbps, making it much faster than all but the fastest fiber optic Internet plans. Thankfully, going wireless won’t slow your surfing. The more current wireless N standard (802.11n) can’t speed up your Internet connection, but will allow faster data transfer rates between local networked computers of up to 100 Mbps, or about twice the data transfer rate of G networks. As if the abbreviations aren’t close enough to cause confusion, it doesn’t help that they are often expressed in the wrong case. When in doubt look for translations such as the kilobit or Kilobyte equivalent, or simply ask someone if the specification is indeed megabits per second or Megabytes per second. Error 404: A Look At Digital Decay. In 2005, one of the most intriguing advertising stunts of the internet age was hatched. Alex Tew launched the The Million Dollar Homepage, where anyone could “own a piece of internet history” by purchasing pixels-plots (minimum of 10×10) on a massive digital canvas. At the price of just one dollar per pixel, everyone from individual internet users to well-known companies like Yahoo! raced to claim a space on the giant digital canvas. Today, The Million Dollar Homepage lives on as a perfect record of that wacky time in internet history – or so it seems. However, the reality is that many of the hyperlinks on the canvas are now redirects that send incoming users to other sites, while over 20% of them are simply dead. The internet is stitched together by an incalculable number of hyperlinks, but much like cells in an organism, the sources and destinations have a finite lifespan. Essentially, links can and do die. Most “link rot” is the result of website restructuring, or entities going out of business and pulling their website offline. A high-impact example of this is when Yahoo! pulled the plug on GeoCities, one of the first popular web hosting services. In one fell swoop, roughly 7 million websites (containing a plethora of animated gifs, auto-playing midi files, and traffic counters) went dark forever. Links can also die because of more deliberate reasons, as well. In 2015, the editor-in-chief of Buzzfeed, Ben Smith, came under fire for deleting thousands of posts from the site (including content that was critical of Buzzfeed advertisers). Journalism has traditionally acted as a public record, so this type of “decay” has serious implications on the credibility of media brands. This idea of a public record is at the heart of why digital decay is an issue worth addressing. Once millions of links simply burn out, what will people in the future know about society in the early-ish days of the internet? What record will remain of people’s thoughts and feelings in that era? Perhaps more urgent are public records that live in the digital realm. Supreme Court decisions and academia lean heavily on citations to build their arguments. What happens when those citations simply vanish? A Harvard study found that 49% of the hyperlinks in Supreme Court decisions are now broken. Even that ubiquitous resource, Wikipedia, has serious issues caused by digital decay. Over 130,000 entries link to dead pages – a troubling development, as linked citations are what lend entries their credibility. 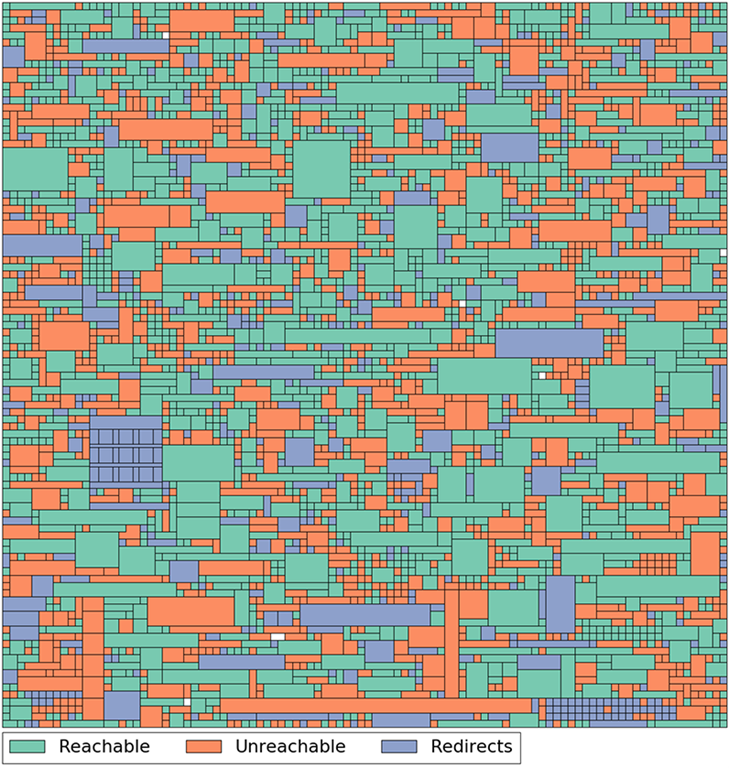 A handful of people are taking steps to archive the internet. The most well-known solution is Internet Archive’s Wayback Machine, which has archived hundreds of billions webpages over the past 20 years. Even the The Library of Congress – which is well known for archiving digital information such as tweets – contracts Internet Archive to do its web crawling. The academia-focused Perma is another example of a company looking to create permanent records of the web sources (particularly citations). Many of the weird and wonderful forums and hand-coded homepages of early internet lore may be gone, but we’re finally taking steps to combat digital decay. As awareness grows, avoiding an “informational black hole” may be possible. Microsoft has been waiting for this one. Latest statistics from Netmarketshare suggest that Windows 10 finally managed to overtake the user-favorite Windows 7 by the end of last year. 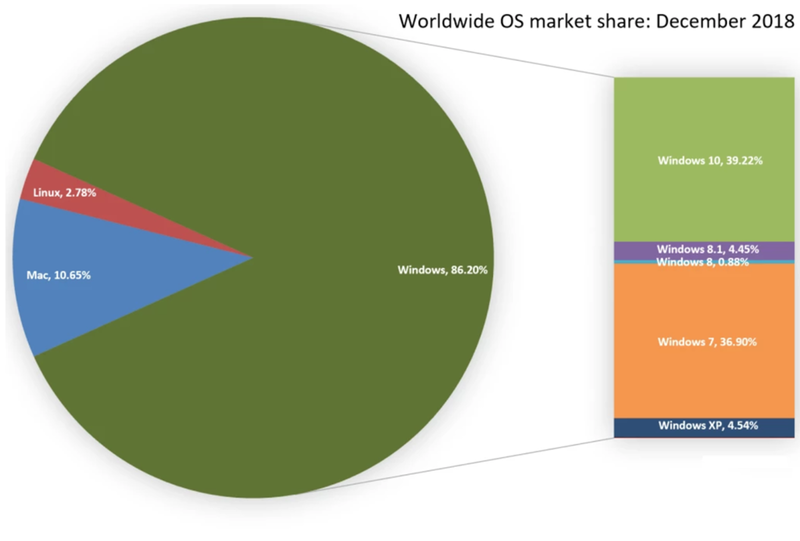 According to the company, in December 2018 Windows 10 had a 39.22% market share, a little more than Windows 7’s 36.90% market share. Previously, StatCounter, another analyst had shown Windows 10 overtaking Windows 7. However, stats from Netmarketshare consistently showed the latest desktop operating system tailing behind Windows 7. 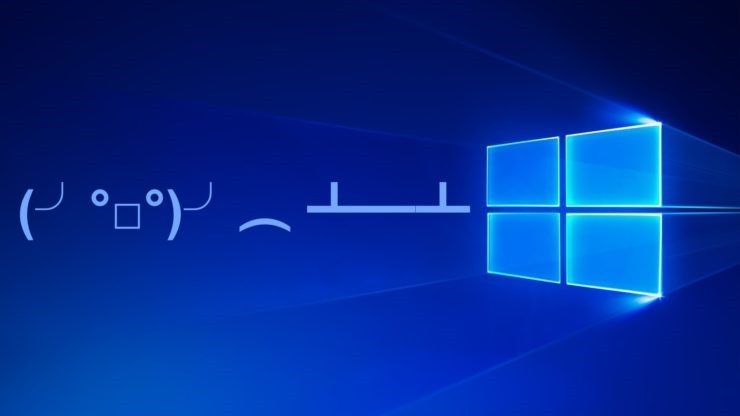 Windows 10 was released back in 2015 with Microsoft’s ambition of powering over a billion devices in less than two years. While the latest OS is yet to hit that target, at least it has managed to overtake the numbers of its biggest hurdle – Windows 7. Many of the Windows enthusiasts have continued to support Windows 7 despite Microsoft introducing several user-friendly features to Windows 10. The company also calls this operating system its most secure one since it sends regular monthly security patches to all the Windows 10 versions. With Windows 7 hitting its end of service deadline in exactly a year in January 2020, it is likely that more and more Windows 7 users will have to finally bite the bullet and upgrade to Windows 10. Since a majority of Windows 7 users are on the enterprise edition, Microsoft will be pushing its partners aggressively to have all the businesses shift to the latest OS. 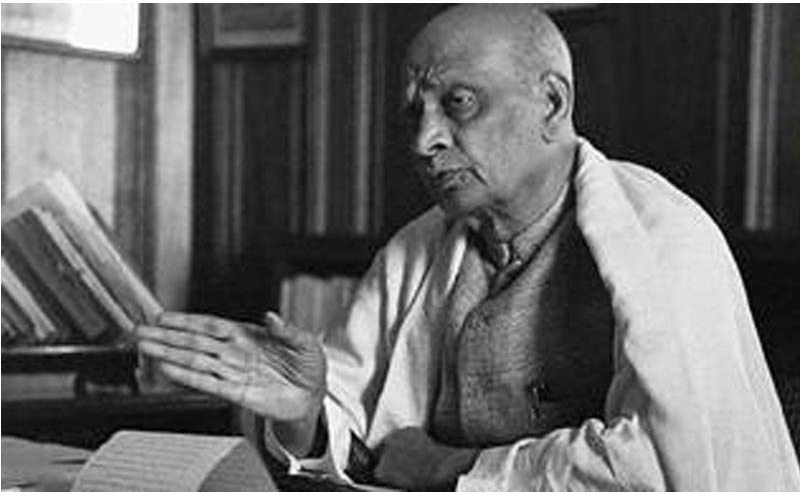 Born on the countryside of Gujarat, and raised during the time when British had occupied most parts of India, Sardar Vallabhabhai Patel went on to become the unifier of India that was on the brink of falling apart while almost closing in on independence. The country was vast, and mostly in shambles with the objective of freedom struggle that seemed to have been achieved with British leaving India. But the problems remained. Partition was a lot more gory and painful than what the leaders had imagined. On the other hand, within whatever remained as ‘India’ the feeling of solidarity was rather hazy because the status of ‘republic’ was still far away from being attained. States were excited about freedom, but anxious about what lie ahead of them. Only few leaders played a prominent role during this time. The barrister turned organiser and a leader with steely spine, Sardar Vallabhabhai Patel was the person who withstood the challenges of time, and managed them like the challenges were what make the fruits of labour sweeter. In fact, the name ‘Sardar’ was given to him, owing to the fact that he had always displayed amazing organisational and leadership skills. He was a leader who was loved by everyone, and even those who hated him, would grudgingly acknowledge the fact that he was a born leader. The current generation, which trains in B-schools to pick up leadership skills and lessons in management, could well study a personality like Sardar Patel to understand the importance of staying a thorough leader. He was a rare kind, the only kind and probably will remain so, unchallenged. ‘Iron man of India’ was what he has been recorded as, through the pages of history. There must be hardly any other leader who was bestowed with meaningful titles from the followers who stood steadfast and strong with their leader. Here are a few qualities that made him the leader he turned out to be. The one history could never forget, and never stop admiring. Patel took on himself the task of unifying the states that were torn in different directions under the rule of kings. He had known this was what undid the India that existed before the British took over. Well into the course of struggle for independence, he worked towards this single goal and even after India was free from the British rule, the goal was almost half achieved. But the other half was more challenging than before since it involved having constant dialogue with the stakeholders. Sounds like a typical management challenge? Well, it was and he excelled at it. Though history says Sardar Vallabhabhai Patel had shown great leadership qualities right through his childhood, it would be important to note it was more a personality type than a quality alone. He was someone who was a born leader and clearly identified the traits within himself. He marched the path that his mind showed with clarity and did so fearlessly. A leader is the one who knows how to deal with his confusions. Normal people with basic intelligence get flustered when there is a cross road at any juncture. But, a leader sees these things as an opportunity to choose between two things. Hard thinking coupled with increased clarity on objectives and vision, a cross road is a clear decision of what need to be prioritised over something else. Unification of the India that was left after partition was a mammoth task. It was no cake walk, but ‘Sardar’ Patel was a born leader who had set this goal and worked towards it relentlessly. He knew once the British left India, the rest of the country had to stand together in solidarity. This could be a crucial lesson for leaders who manage companies through crisis and management of the same. No matter what the challenges are, a goal is what needs to be achieved without blaming situations that threaten the very premise. While working towards his goal, Patel was with people and not away from them. While he could have a dialogue with Nehru, Jinnah and Gandhiji, he could also communicate with clarity with people who worked at grassroots level as well with equal ease and empathy. Standing with employees even as dialogues with higher stake holders are in progress can set a real leader with vision and goal, apart from ordinary people who would wish to stay away from complicated situations. What are the important challenges for a leader? Sagacity and integrity being two of them, it is important not to lose sight of the bigger picture. Even when things head on a different direction, staying on the course and working through challenges will only help the person who is at the helm of things. Using shrewdness is a virtue, but make sure it doesn’t threaten to tear the goal apart. Important lesson: bring on the shrewdness, not the ego, into the picture and stay with it. Intricate details of working towards the set goal can be daunting and tiring. But, that’s what ordinary people experience, and not a leader. Looking through intricate details can help a leader root out smaller problems, and keep everyone together in a situation which is difficult and challenging. Companies wading through difficult waters need leaders who are not just strong, but also lead the way with their own examples. Though he was known as a man of iron will and spine; Sardar Patel also often employed diplomacy to keep the dialogue on and never closed the doors of discussion. This was an exclusive role he found and fit himself into, where the other leaders claimed helplessness. A unified India was his gift to the generations ahead. It is no new information, that Google has a lot of our data, but, it was only last week that we learnt that Google tracks our location even when we believe that we’ve disabled the option for Google to do so. While we’ve tried to figure how Google tracks us and what measures can we take to prevent it from doing so, a new study says that it is almost impossible to escape Google’s data collection and location tracking practices as we perform our regular, day to day activities over the internet. According to a report published by The Washington Post on 21 August, Computer science professor Douglas C Schmidt at Vanderbilt University in Nashville, Tennessee, led a research which found that a stationary Android phone, with the Chrome browser active in the background, communicates location information to Google 340 times during a 24-hour period. This means an average of 14 times per hour. 35 percent of all this data, is location information. It was further revealed in the study, that Android and Chrome platforms are critical vehicles for Google’s data collection. Also, if you were to compare Android and iOS, a stationary Android device sends with Google nearly 10 times more data as an Apple device sends data to Apple servers. 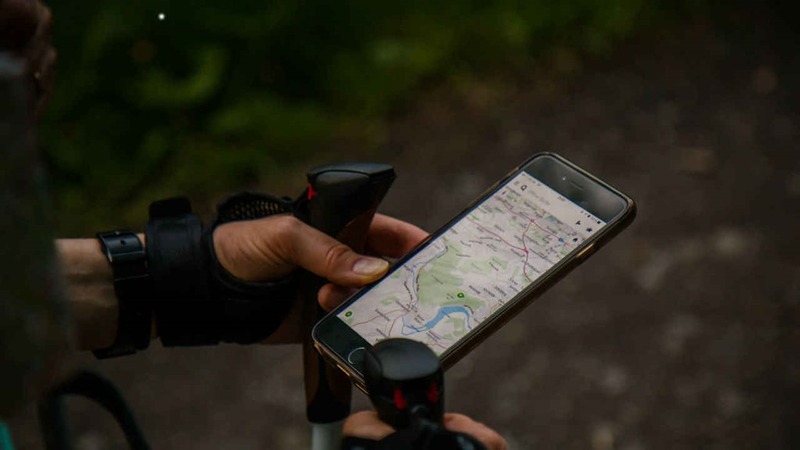 If you are not using a Google device, or Google, simply due to the presence of Google’s advertising technologies, it is difficult, and almost impossible to escape the company from collecting your data. If you read further into the study, you can gather the different techniques that Google has adopted for collecting data, such as Google Maps, Hangouts chat, YouTube, and also the DoubleClick Ad Network. The DoubleClick Ad Network is the business owned by Google that lets online publishers display adverts on their websites. The research points out that it tracks a user’s activity on the third-party web pages. “This report is commissioned by a professional DC lobbyist group and written by a witness for Oracle in their ongoing copyright litigation with Google. So, it’s no surprise that it contains wildly misleading information,” said Google. The Indian National Flag or the beloved tricolor that we unfurl every year proudly on Independence Day and Republic Day has come through a long process of several edits and reiterations. The Indian National Flag has a very interesting history behind its design, colour and significance. The National Flag is a banner, an ideal which depicts our sovereignty and our independence. The National Flag is the most respected national symbols and depicts the freedom of all Indian subjects and the country from any dominant foreign rule. The current flag that we use was designed by Pingali Venkayya who was an Indian freedom fighter and is one of the unsung heroes of Indian freedom struggle. The National Flag is popularly called the ‘Tiranga’ which means ‘tricoloured’ or made of ‘three colours’ and has evolved from several flags which were its predecessors. The Indian National Flag represents India’s long struggle for freedom. The flag came into being in its present form at the meeting of Constituent Assembly held on July 22, 1947 and it became the official flag of the Dominion of India on August 15, 1947. 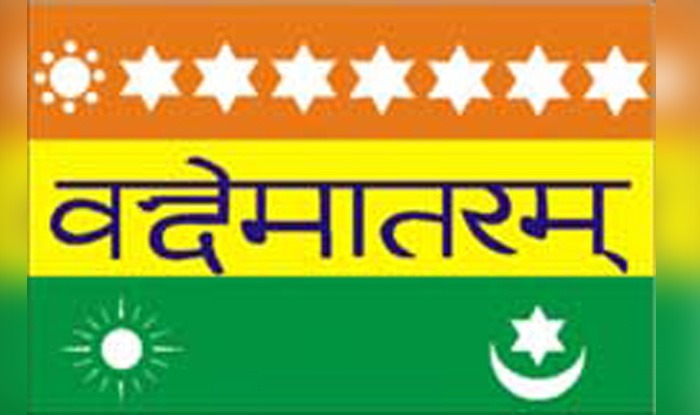 The National Flag is based on the Swaraj flag, a flag of the Indian National Congress also designed by Pingali Venkayya. By law the National Flag should be made of khadi and was previously forbidden to be used by common Indian citizens other than on Independence Day and Republic Day. However, following an appeal from Naveen Jindal, the Supreme Court of India directed the Indian Government to amend the code to allow flag usage by private citizens. It was during 1904-1906 that the first Indian flag came into existence. It was made by Sister Nivedita, an Irish disciple of Swami Vivekananda. The flag came to be known as Sister Nivedita’s flag. 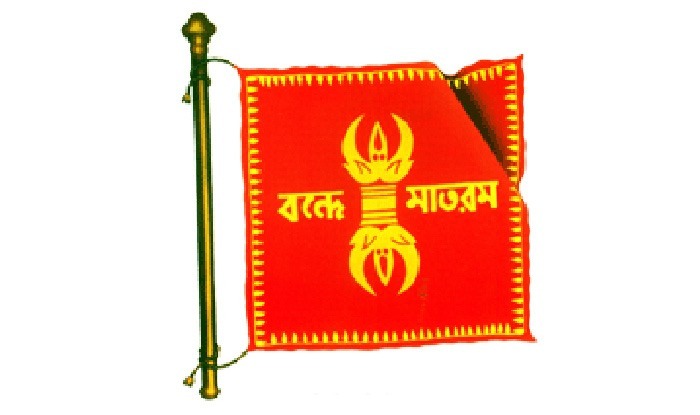 The flag comprised of red and yellow colour and had a figure of ‘vajra’, the weapon of Lord Indra and a white lotus in the middle. The flag had the words ‘Bonde Matoram’ in Bengali written on it. The red and the yellow colour signified freedom and victory whereas the ‘vajra’ symbolized strength. After Sister Nivedita’s flag, the Calcutta flag introduced the idea of a tricolor for the first time. The flag had three horizontal stripes of blue, yellow and red. It had eight differently shaped star aligned in a straight line on the top most blue stripe. ‘Vande Mataram’ was written on the yellow part and a sun and a crescent moon with a star was on the red stripe at the bottom. In 1906 another flag came into existence which was hoisted on August 7, 1906 at an anti-partition rally in Parsee Bagan Square in Kolkata. 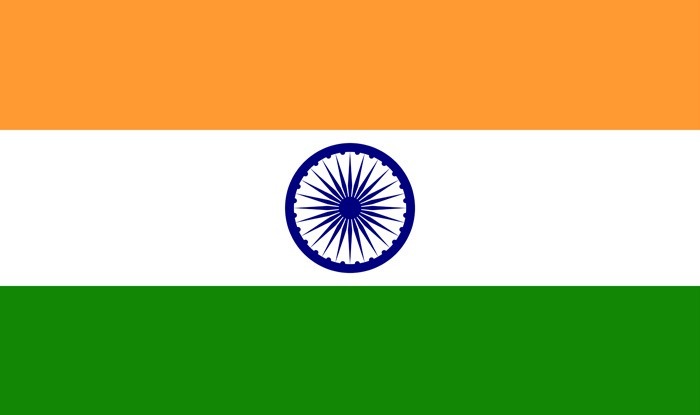 This tricolor is believed to have been designed by Sachindra Prasad Bose and Sukumar Mitra. It had three stripes of green, yellow and red from top to bottom. 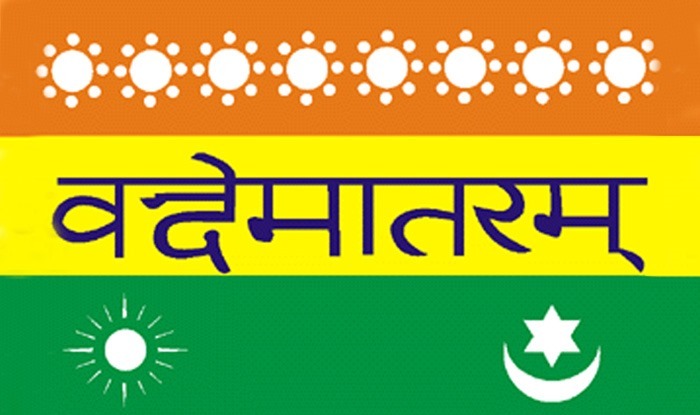 The top most green band had eight lotus flowers representing the eight provinces, the middle yellow stripe bore the words ‘Vande Mataram’ and the lowermost band had a crescent moon on the left and a sun on the right side. The Belin Committee Flag was collectively designed by Madame Bhikaji Cama, Vinayak Damodar Savarkar (Veer Savarkar) and Shyamji Krishna Varma. The flag was first unfurled in Stuttgrat, Germany by Madame Cama on August 22, 1907 and was the first Indian flag to be hoisted on foreign soil. 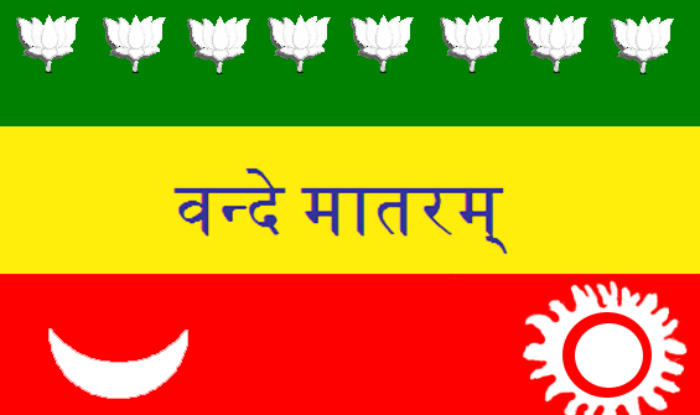 The flag was also a tricolor but introduced the colour saffron for the first time. The top most band was of orange colour with eight lotuses, yellow was in the middle with words Vande Mataram and green at the bottom with symbols of the sun and moon. Another version of the flag was also released with one lotus and seven stars. The seven stars signified the Saptarishi constellation. 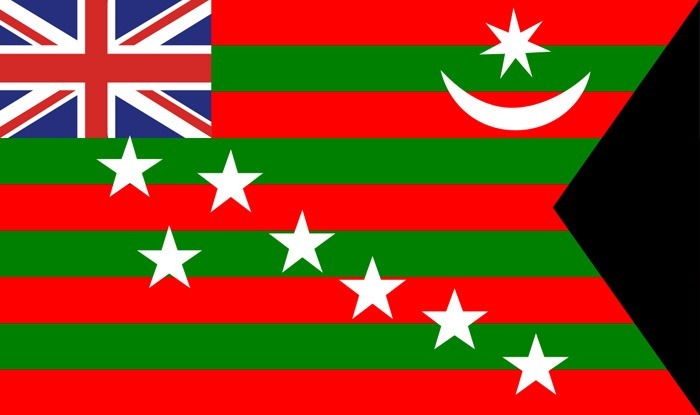 The Home Rule Movement had a separate flag which was propounded by Bal Gangadhar Tilak to demand the status of a Dominion within the British Empire like Australia and New Zealand. The flag was a red-green striped one with the Union Jack at the upper left hand corner and seven stars in the middle. The stars were placed as the stars in the Saptarishi constellation. The flag also had a crescent moon and and a star at top right corner. 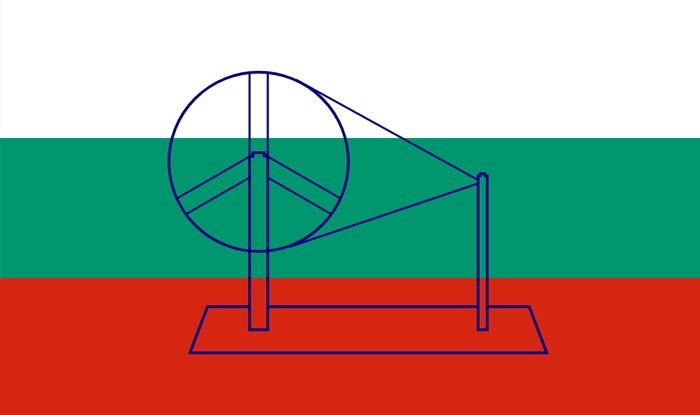 In 1921, Mahatma Gandhi proposed a tricolour flag with the ‘charkha’ or a spinning wheel at its centre. The colours of the flag represented the dominant religions of the country with a message of promoting religious harmony. However, the colour of the flag was not agreed upon and further changes were sought. The lowermost stripe of red represented sacrifice, the middle green stripe represented hope and the topmost white stripe represented peace. 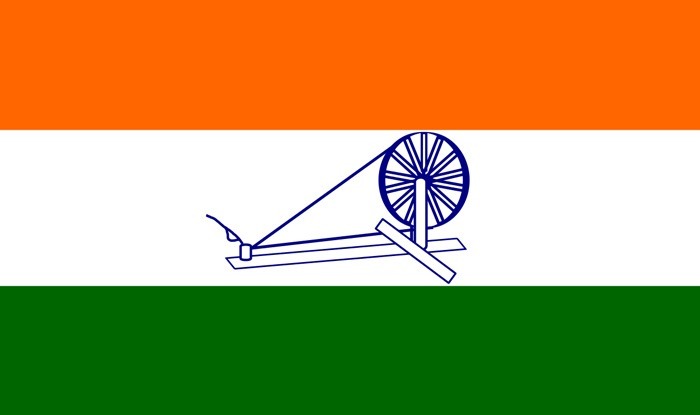 The flag was introduced at the Indian National Congress meeting in 1921. The previous flag was not well-liked by the public and the leaders since it was interpreted with a communal angle. 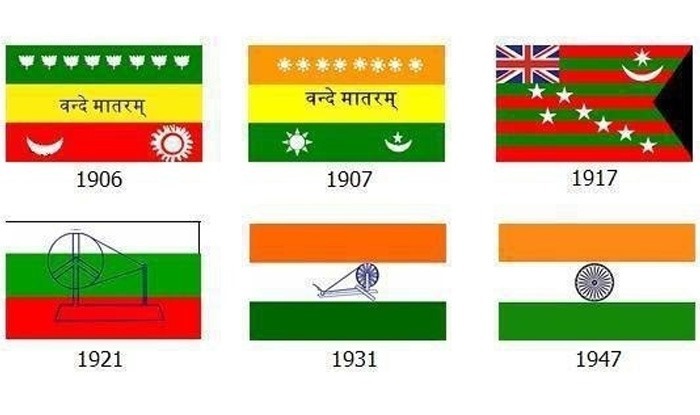 The colours of the flag were changed to saffron, white and green. The saffron colour was chosen to showcase both the Hindu yogis and Muslim darvesh. The white band in the middle stood for other religious communities. It was the first official flag of India and was designed by Pingali Venkayya. The symbol of ‘charkha’ was retained to symbolize the Swadeshi movement. When India attained Independence, a committee headed by Dr. Rajendra Prasad was formed to select the National Flag of India. The committee adopted the Swaraj Flag with a slight change as the flag of independent India. The ‘charkha’ in the middle was replaced by the Ashoka Chakra and hence our present National Flag came into existence. The significance of the colours was also changed. The saffron band came to denote courage and selflessness, the white stood for purity, peace and truth, the green stripe for faith, fertility and prosperity and the Ashoka Chakra symbolized the rule of dharma.